Styled with sandra sweater . 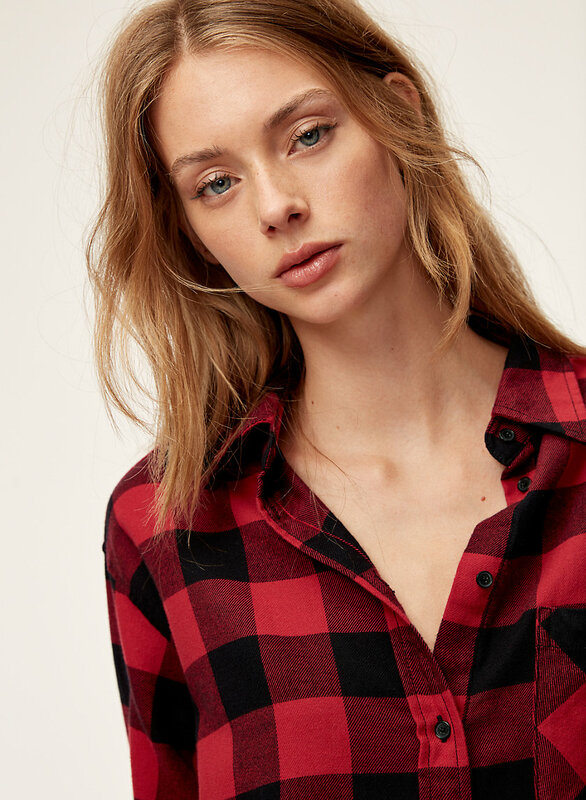 If #cabinlife with cheese fondue and a game of Scrabble had a dress code, it would be this soft, warm shirt. 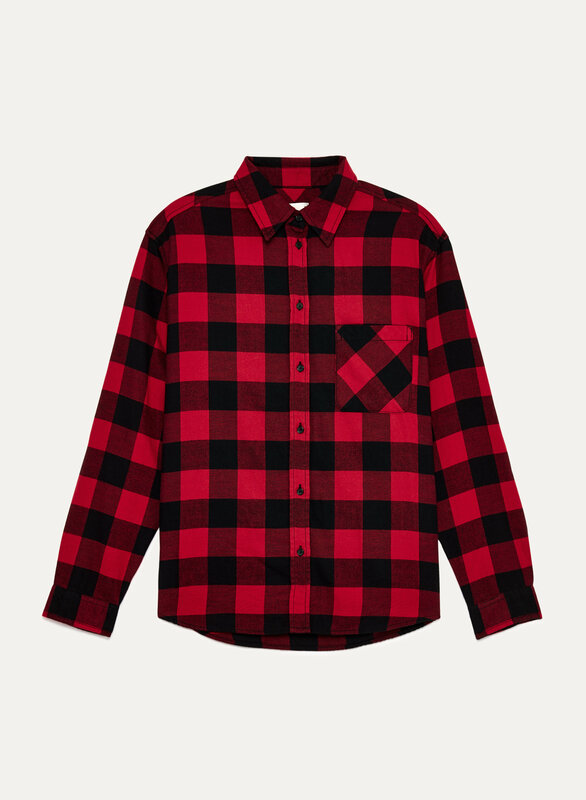 The flannel is brushed on both sides to be extra cozy and the classic check was designed in house. Real shell buttons make things feel a touch more special. 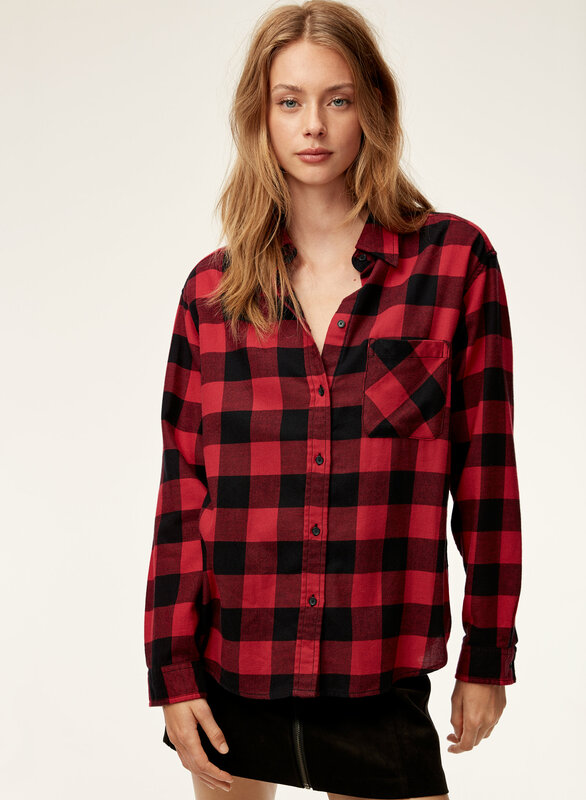 This has the perfect fit and best fabric ever! 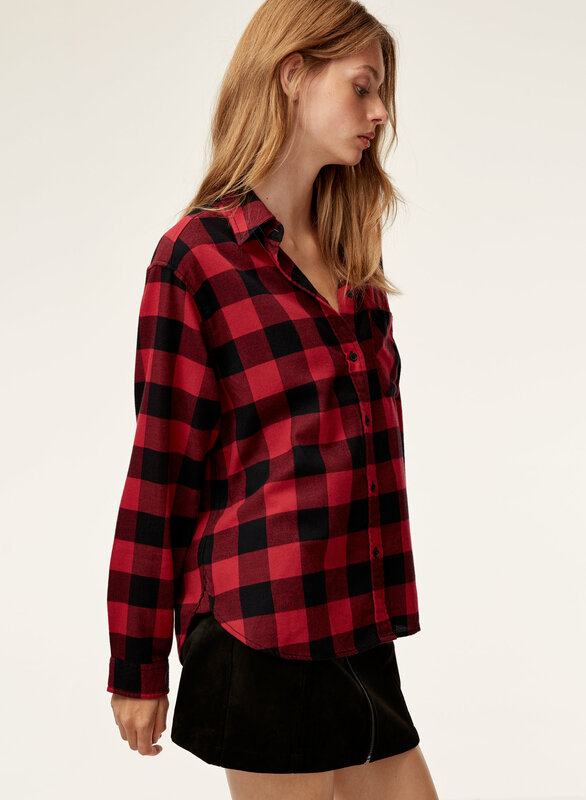 I love these in the fall and winter and currently ordering it in another color, so I’ll own this shirt in every color! Love the shirt, very soft and looks great. Runs generous in size. If you want a more fitted feel size down.